This was a great year for our annual family tradition we like to call “Santana Claus” !! Basically we gather money from family and friends throughout the year and buy small toys for children. 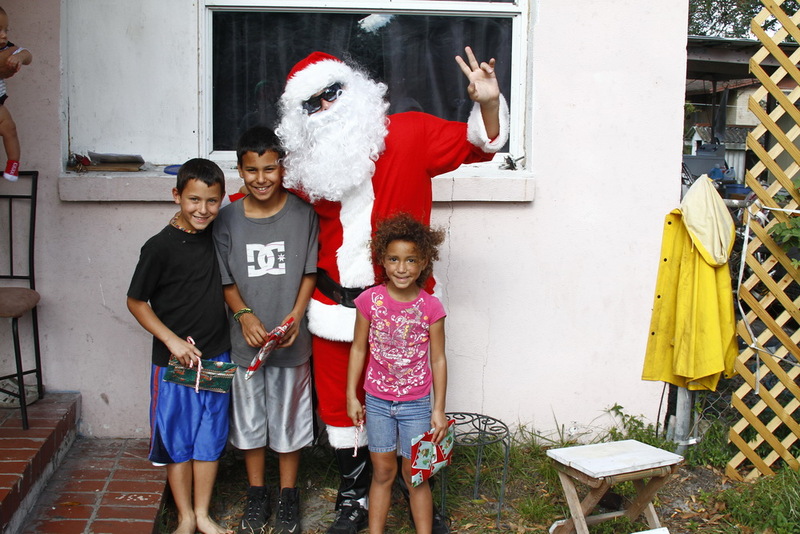 I then dress up as Santana Claus and load up the family and boxes of toys and drive around neighborhoods where kids live who could use a little Christmas spirit and fun. This year we were able to donate 194 toys along with candy canes and Santa hats. My wife Yoleris and I came up with the idea after moving away from the neighborhood years ago. We were fortunate enough to move to a nicer neighborhood , own a home and raise a great family together but we never forgot where we came from. About 4 years ago we decided to buy some toys on clearance, wrap them and drive around the old neighborhood and pass them out. After two years of doing that I decided to put on a Santa costume and drive around handing out toys, then Santana Claus was born! Our routes are never the same and suprise and randomness is what helps it keep it extra special. When we spot children playing outside we pull over, hop on out and spread the Christmas Spirit!